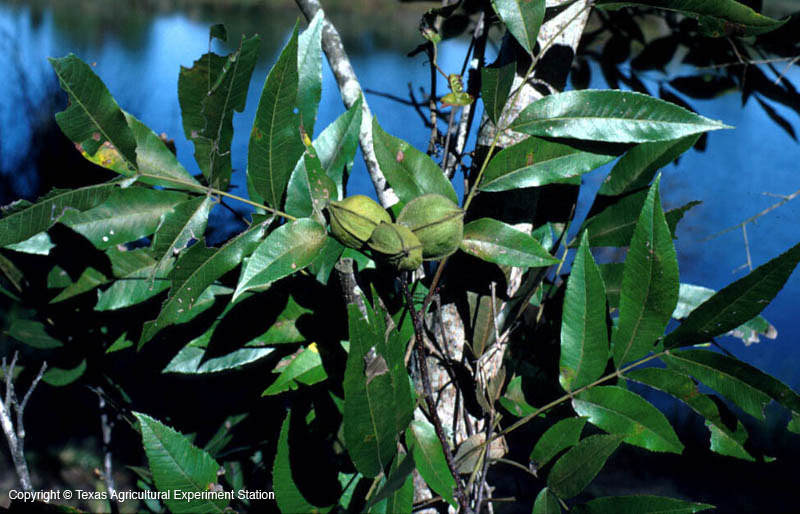 Water hickory is found in wet, poorly drained areas in east Texas. 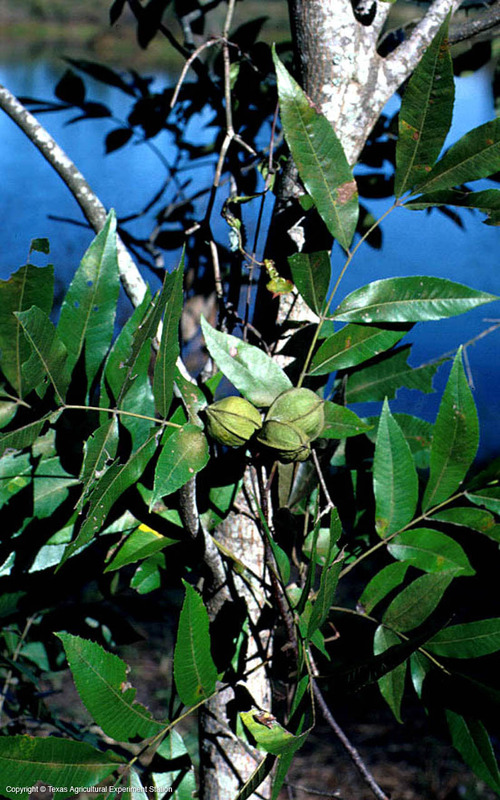 It has shaggy bark and leaves that are reminiscent of pecan's but with fewer leaflets. 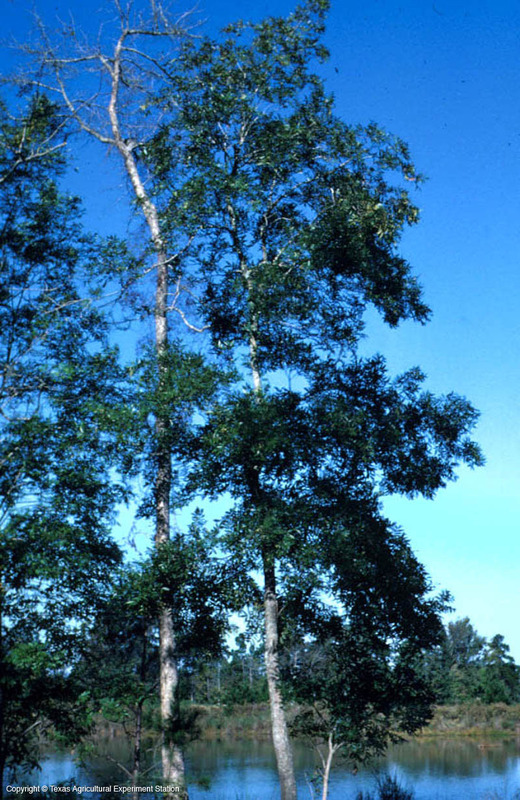 It breaks dormancy later in the spring than most trees, which enables it to withstand periodic spring floods.